There were two new titles and one updated title released to Public Core in June 2015. There are now 796 titles in the Public Core collection. If you subscribe to this package, see a full title list in your Admin account (log-in required), or check it out on our corporate site. 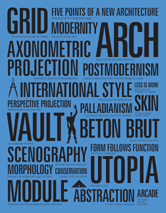 This inspiring book chronicles the most influential ideas that have shaped architecture. 100 Ideas that Changed Architecture explores when each idea first evolved and the subsequent impact it has had up to the present day. 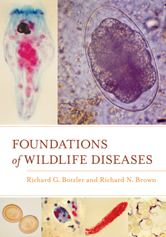 Foundations of Wildlife Diseases provides students with a structure for thinking about and understanding infective agents and their interactions with wildlife. Each chapter includes an outline, select definitions and concepts, an overview and summary, and literature cited. 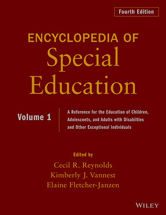 The highly acclaimed Encyclopedia of Special Education addresses issues of importance ranging from theory to practice and is a critical reference for researchers as well as those working in the special education field. This completely updated and comprehensive A-Z reference includes about 200 new entries, with increased attention given to those topics that have grown in importance since the publication of the third edition, such as technology, service delivery policies, international issues, neuropsychology, and RTI. The latest editions of assessment instruments frequently administered in special education settings are discussed.